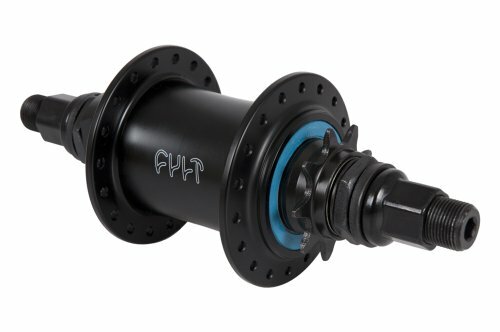 Cult Bikes Freecoaster 36h--14mm-9t Driver RHD Black Rear Bicycle Hub by CULT BIKES at Joes V Cycle. Hurry! Limited time offer. Offer valid only while supplies last. CNC MACHINED ALLOY HUB SHELL. HEAT TREATED HOLLOW 14MM CHROMOLY AXLE. CUSTOM TAPERED ROLLER BEARING BEHIND THE DRIVER FOR MAXIMUM SIDE LOAD SUPPORT. If you have any questions about this product by CULT BIKES, contact us by completing and submitting the form below. If you are looking for a specif part number, please include it with your message.